When I worked in the City back in the 80s, the last thing I'd heard of was a clean desk policy. In fact I had one colleague who would pile up brokers' reports either side of his chair until they were level with his desk and then he would simply file them into the bin. 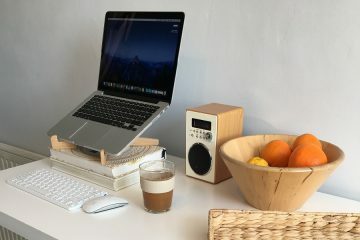 His workspace was a complete disaster area and it definitely impacted on his productivity – the most disorganised person I have ever come across! Nowadays, with strict health and safety policies, he would never have got away with his messy practices. Before the era of email, pdfs, and cloud storage there was a genuine need to keep paperwork which meant that offices were cluttered leading to a rather homely feel that most office managers wouldn't tolerate today. We made spaces our own and each was quite individual despite it all being open-plan – a bit like my own home office which doubles up as a storage space for the planners and note-books I sell as a non-profit. In contrast to my relaxed approach to tidiness, I visited an office the other day where the clean desk policy has been taken to extremes; in operational areas, no plants, neutral pictures, desks devoid of everything apart from a keyboard and mouse. Even the wastepaper bins had been removed. They were clearly proud of their stark environment but I felt it looked like one of those futuristic films and not a place for creativity and innovation. I might be justifying my own somewhat untidy home office. I'm one of those who likes to create a mess over a week and then have a good old tidy up on a Friday. I don't file any more, I just keep the filing in boxes until it's time to shred or recycle it. I like lots of books and some bits of tech around the place and it works for me. The idea of a permanently clean desk fills me with horror. As we all move to a paperless office so we become physically tidier, but I suspect our online filing systems leave a lot to be desired, unless you have OCD tendencies. I seem to spend far too much time searching for folders and files! Reasons to abandon the clean desk policy? Un surprisingly the Empowered Office was a hit with a 30% increase in productivity over the Lean Office and 15% more than the Enriched Office. The Disempowered Office was a disaster with people hating it as much as the Lean Office. The point of this is that it is not just having a well designed office space but it is having the freedom to design it yourself that makes the difference. 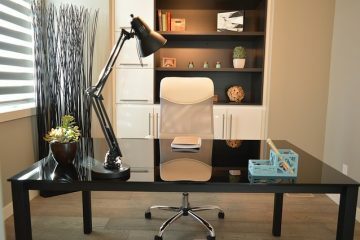 My take-away for the Homepreneur is that however small your space, make it your own. If a bright orange wall brings you joy, go for it. Pin up that huge poster of your favourite holiday destination and add some easy to care for indoor plants. But if the clean desk works for you that's your prerogative. Sorry, I’ve got to go now…. Off to Pinterest to create a Work Zone Board and then it’s a trip to the market. Bye for now!